Akris crepe dress with illusion inset. For in-store inquiries, use sku #2297354. 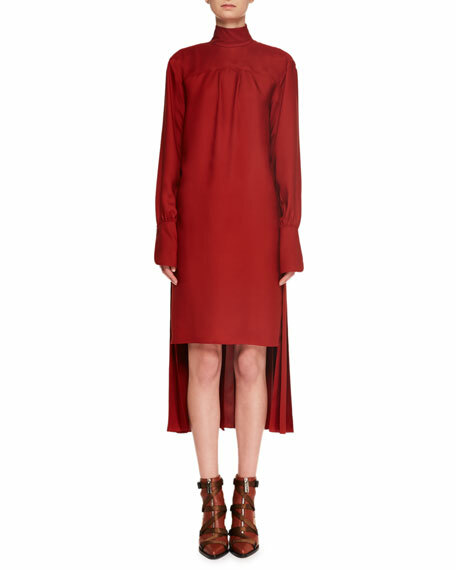 Akris silk crepe dress with asymmetric ruffle detail. Stand collar; zip front panel. Long sleeves; button cuffs. Side slits. A-line silhouette. Knee-length. Imported. 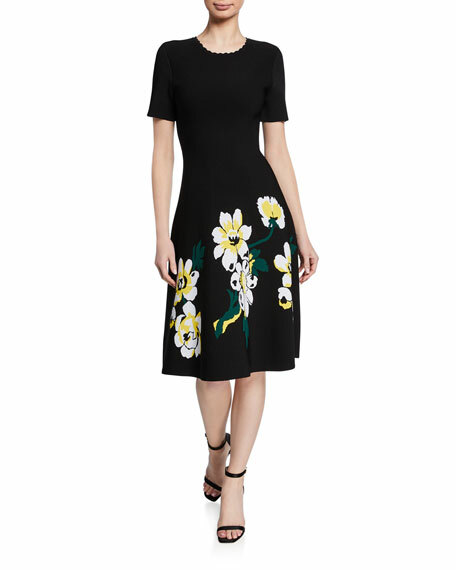 Carolina Herrera dress in stretch knit with magnolia flower intarsia pattern on skirt. Scalloped crew neckline. Short sleeves. Fit-and-flare silhouette. Midi length. Back zip. Viscose/polyester/nylon/spandex. Made in Italy. 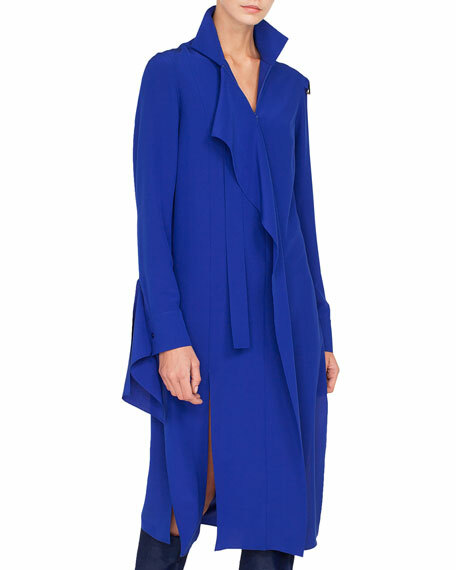 Chloe silk crepe dress features knife-pleated back with buttons down center. Turtle neckline. Long sleeves; button cuffs. Yoked shoulders. Button-down back. Straight silhouette. High-low hem. Made in France. 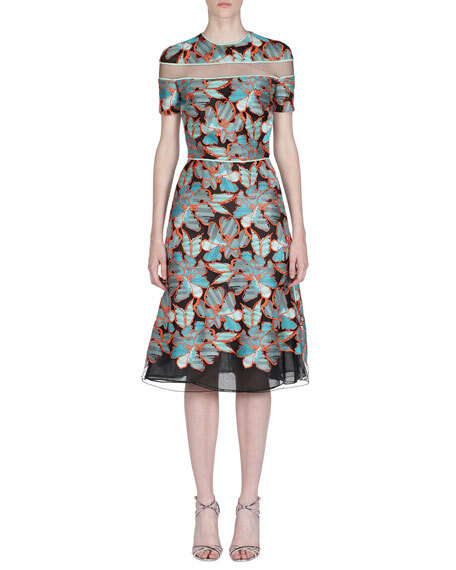 Fendi dress in floral-devore chiffon. Jewel neckline. Short sleeves. Semisheer yoke inset. Fit-and-flare silhouette. Midi length. Back zip. Polyester/nylon/silk. Contrast, nylon. Trim/lining, silk. Made in Italy.